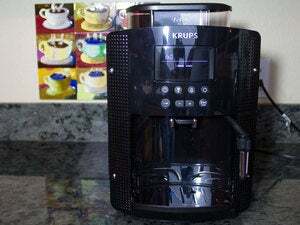 Mr. Coffee Smart Coffeemaker review: Can WeMo help brew a better cup o’ Joe? 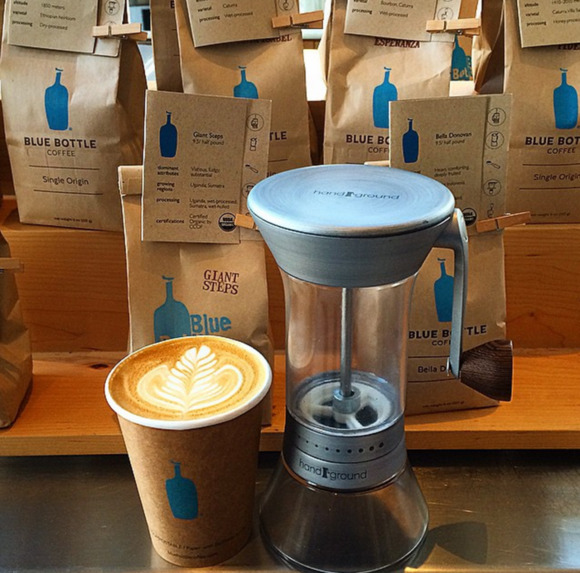 If there's one thing coffee lovers have, it's opinions on how coffee should be made. 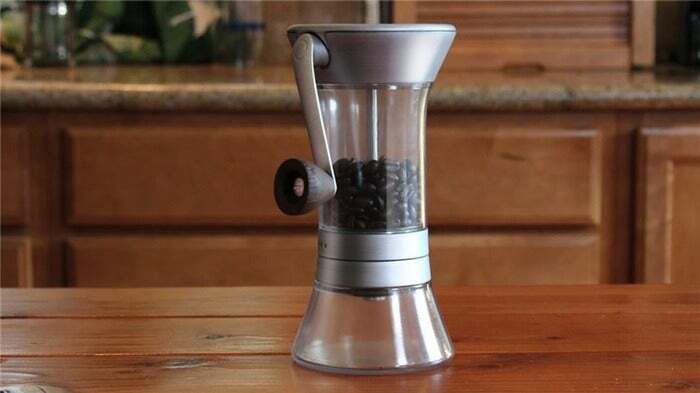 So the Handground team turned to the hordes of the coffee-loving Internet to design a better grinder. The team started with an Instagram feed on day one to document their journey, and they quickly found a whole community of coffee lovers interested in contributing their thoughts on what the perfect coffee grinder should be. Getting a consistent grind is key to getting the best flavor out of the beans, no matter how you choose to apply your hot water. One of the most common complaints the Handground team heard was that home grinders, especially blade grinders, produced a very inconsistent grind, with large chunks of beans left over while other beans had been crushed to powder. Handground's precision coffee grinder uses a ceramic burr mill and a triple-mounted stainless steel axle to produce a more consistent grind. Another complaint the team dealt with was the fact that many grinders must be completely disassembled to change the coarseness of the grind, so they looked at the way a high-end camera lens changes focus and built a similar ring into the precision coffee grinder. Turning the ring changes the coarse 125 microns at a time for 20 levels of coarseness. Other crowd-sourced design decisions include the side-mounted handle for better ergonomics, a locking top so the beans don't spill, a wide base for stability, a 100g capacity to brew five cups at a time, and a borosilicate-glass catcher to prevent grounds from sticking to the container. There's even a little extra piece of coffee in the handle, which is made from Costa Rican coffee wood. The Handground in its nickel finish. Hundreds of entries came in as part of a design competition. After the team narrowed the field down to six finalists,Joaquin Herlein's design came out on top in a final round of voting. He's continued to work with the team and with ideas from the wider Team Handground community to perfect and polish the design. They have already streamlined the final product with a 50-percent reduction in the number of screws used. Kickstarter backers will also become a part of team Handground to be able to participate in surveys and discussions to improve the grinder as the team moves forward into mass production. The team just finished a tour of west-coast coffee cities to show off the new design. Not only did they blow through their Kickstarter goal of $35,000 in just 18 hours, they also surpassed their first stretch goal of $100,000 just a few days later. That means backers who pledge $55 or more can choose between white or black grinder when the product ships. There's also a nickel option for $75, and a beautiful limited-edition copper grinder available for $154.